The channel has stepped up mergers and acquisitions (M&A) activity in 2019, driven by an increased need for Microsoft Dynamics 365 capabilities. Within the space of a week, two specialist partners were acquired across Australia and New Zealand, adding to a recent global buy and a multimillion-dollar deal finalised in early December. Collectively, the channel has went to market four times in six weeks in search of expertise across enterprise resource planning (ERP) and customer relationship management (CRM) applications, with three specialists housed in Queensland, Australia. Specifically, Rhipe entered into a binding agreement to acquire Brisbane-based Microsoft partner Dynamics Business IT Solutions in a $4.5 million deal, potentially rising to $8 million. Two days later, Fusion5 followed suit with the acquisition of Dynamics Group, a start-up also headquartered in Brisbane. Further afield, DXC Technology snapped up the service business of Danish IT firm EG, integrating offerings into the provider's Microsoft Dynamics business, Eclipse. The acquisition mirrors the double buyout of Sable37 in A/NZ and UK-based eBECS in early 2018, as reported by ARN. Kick-starting six weeks of M&A activity, India-based Sonata Software acquired Scalable Data Systems for $5.5 million in December, a specialist Microsoft Dynamics 365 partner once again headquartered in Brisbane. The acquisitions come amid a strong period of growth for the Microsoft productivity suite, with Dynamics 365 growing 51 per cent during the quarter ending December 2018. Collectively, the vendor’s Dynamics business grew 17 per cent, with more than nine out of every 10 new Dynamics CRM customers choosing Microsoft’s cloud offering during the period. “We’re winning customers with our differentiated approach to systems of record and systems of engagement by making them more modular, extensible and AI-driven,” said Satya Nadella, CEO of Microsoft, during the vendor’s recent earnings call. “Increasingly, business process automation includes digitising physical spaces, activities and interactions. For example, Nadella said the tech giant now has the capability for customers to manage inventory in real-time "from the shelf, to the warehouse, to the farm". “But we’re not stopping there,” he added. “Our Power Platform – spanning Power BI, PowerApps and Flow – enables anyone in an organisation to start building an intelligent app or workflow where none exists. “It is the only solution of its kind in the industry – bringing together no-code/low code app development, robotic process automation, and self-service analytics into a single, comprehensive platform. Meanwhile, with Power Platform, Nadella said Microsoft is “fundamentally democratising” business processes, in a move designed to allow businesses to make "smarter, faster decisions". “I’m energised about the tremendous opportunity in this space,” added Nadella, citing a range of global customers leveraging the management suite. 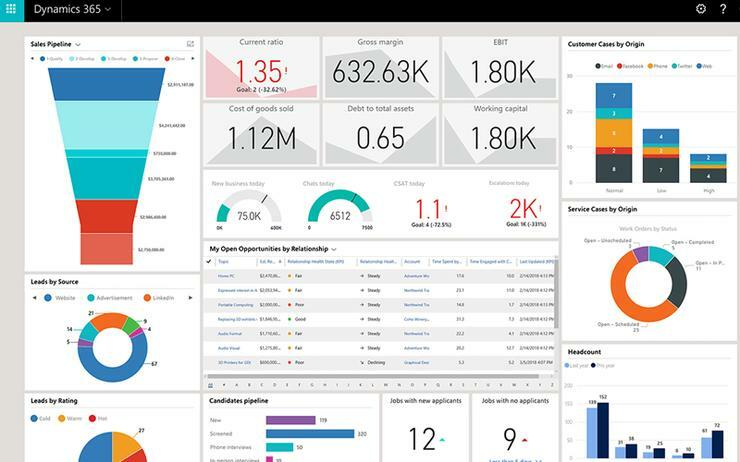 In the UK, Centrica is relying on Power BI, Power Apps, and Flow, along with Dynamics 365, to transform scheduling and dispatch for its first-line workforce. Meanwhile, Virgin Group is using Power Apps and Dynamics 365 to generate a single view of its passengers, surfacing insights to improve customer service and increase operational efficiency. Furthermore, in Italy, the postal service is using Dynamics 365 to jump-start the digital transformation of thousands of post offices across the country. Such customer demand is likely to further drive M&A within the channel, as the ecosystem aligns to one of Microsoft's fastest growing offerings. There are four types of MSP, but which ones sell?